There are certain rules and regulations surrounding company liquidation, many of which focus on your actions as a director. Once a company becomes insolvent, you must put creditor interests first by ceasing to trade and safeguarding its assets, with little or no consideration for shareholders, members or directors. A change of rules during the insolvency process places added pressure on directors, who may already feel a looming threat of personal liability. Operating responsibly, therefore, is paramount from the moment you realise that your company is insolvent. Calling in a professional insolvency practitioner will help to avoid inadvertent wrongful trading. Begbies Traynor is the largest UK business recovery practice and can provide you with experienced practitioners to take on this role. It is important to note that once liquidation gets underway, you and other directors will lose control over the company and its assets. When directors and shareholders decide to undergo this process, it is called a Creditors’ Voluntary Liquidation. Cease trading as soon as you know your company is insolvent. This is a non-negotiable action which, apart from limiting damage to the company, also reduces your exposure as a director to accusations of wrongful trading under the Insolvency Act, 1986. No new borrowing should be taken on by the company once insolvency is apparent. Additionally, assets must be secured prior to sale by the liquidator. Should you carry on trading in the knowledge that your company cannot pay its debts, you and other directors will face rigorous investigation by the Insolvency Service. This can result in disqualification from company directorship for up to 15 years, financial fines and penalties; even a prison sentence may be handed down should serious misconduct emerge. Directors call a meeting of shareholders, during which 75% (by value) need to agree to a ‘winding up resolution’. This effectively leads to the closure of the company. It is at this stage that you appoint a liquidator, send the resolution to Companies House and advertise it in The Gazette. Within two weeks of passing the resolution a meeting of creditors will be called, during which directors must answer questions relating to the company’s situation. A Statement of Affairs will be presented at this meeting, describing the financial position. Timely, accurate and reliable information is required by HMRC on an ongoing basis. The same rules apply when a liquidator is called in. Directors lose control over the company, and the timely provision of information will be expected by the liquidator to ensure a smooth and efficient process. This information could help the liquidator establish the company’s financial standing, who is responsible for various functions within the company, and how and why the point of insolvency has been reached. Up-to-date asset registers, financial records and other business paperwork are likely to be needed so that a full Statement of Affairs can be produced detailing the company’s position. On company liquidation, overdrawn directors’ loan accounts are generally regarded as a debt to the company. As such, these debts will be called in by the liquidator to bolster funds available to creditors. Even if the loan has been ‘written off’ in the accounting records, the liquidator can reverse this accounting entry to ensure that directors are held liable for the money. In some instances the loan may have contributed to the demise of the company, especially if it is a significant amount. As part of their duty the liquidator will scrutinise company accounts, making it impossible for directors to avoid this liability. If the audit trail is incomplete or there are unexplained gaps, you may face investigation by the Insolvency Service. Should you be unable to repay the loan, you may have to declare personal bankruptcy or follow another route into personal insolvency. If the bank as a secured creditor is unable to recoup its money, the debt will be called in. Any guarantees that have been provided by you as a director leave you open to personal liability for the amounts outstanding, effectively placing your own cash and assets at risk. These include your home and any other property you own, personal savings; even assets held jointly with another person are at risk. This is the nature of personal guarantees, and unfortunately there is little you can do to avoid the responsibility taken on when you signed them. If personal guarantees have been given for debts which the company cannot afford to pay, this reinforces the need to cease trading as soon as possible to limit the damage. The liquidator may request an interview with you and other directors. You must comply with their request, and answer the questions fully wherever possible. Not only will this help to mitigate your risk of further action by the Insolvency Service, compliance also speeds up the liquidation process. If the liquidator has cause for concern surrounding the way in which the company was run, failing to comply with their requests for interview will only arouse further suspicions. They need to establish the roles and responsibilities held by each officer of the company, should allegations of misconduct be made at a later date. 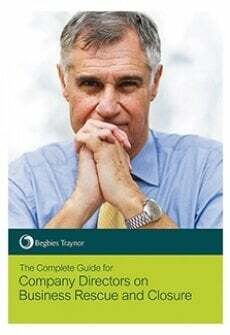 The implications of company liquidation can be serious for directors. The immediate cessation of trading once you fear insolvency will help to minimise your personal liability, and offer the best chance to improve creditor dividends. 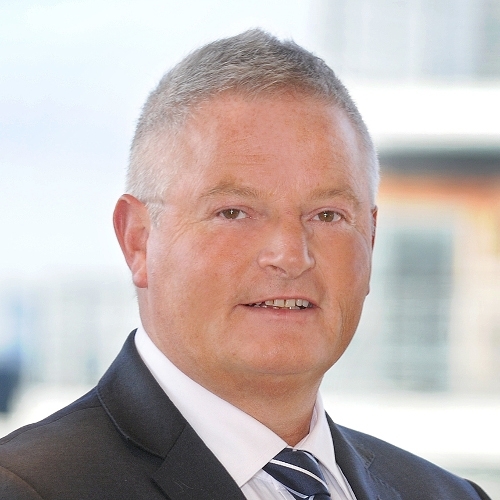 Begbies Traynor has vast experience in company insolvency. With an extensive UK office network we offer an initial same day consultation free of charge.